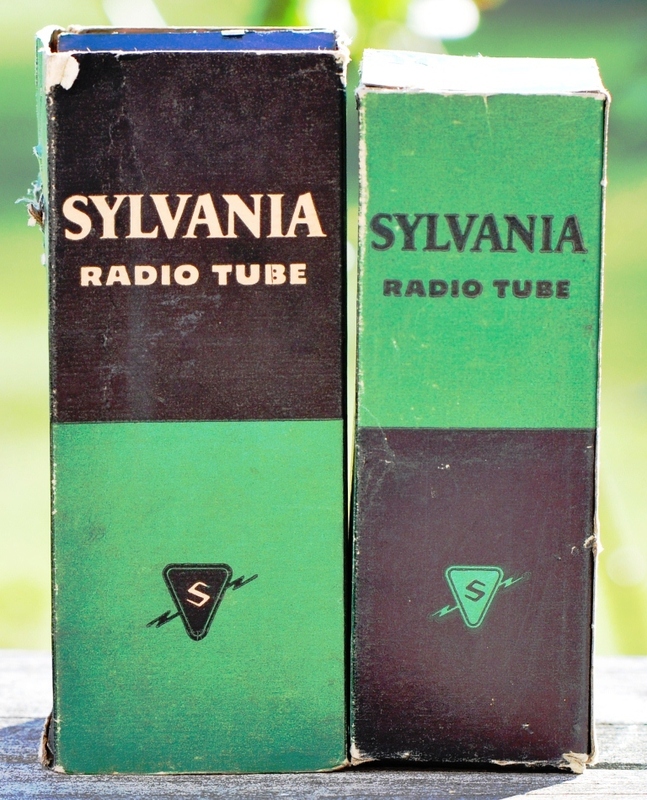 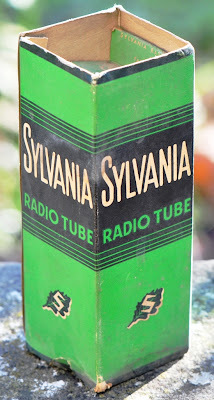 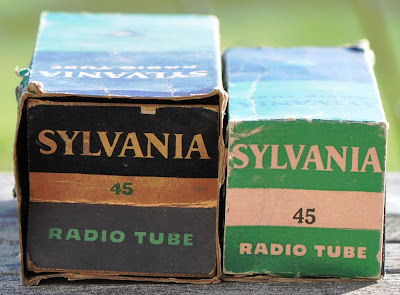 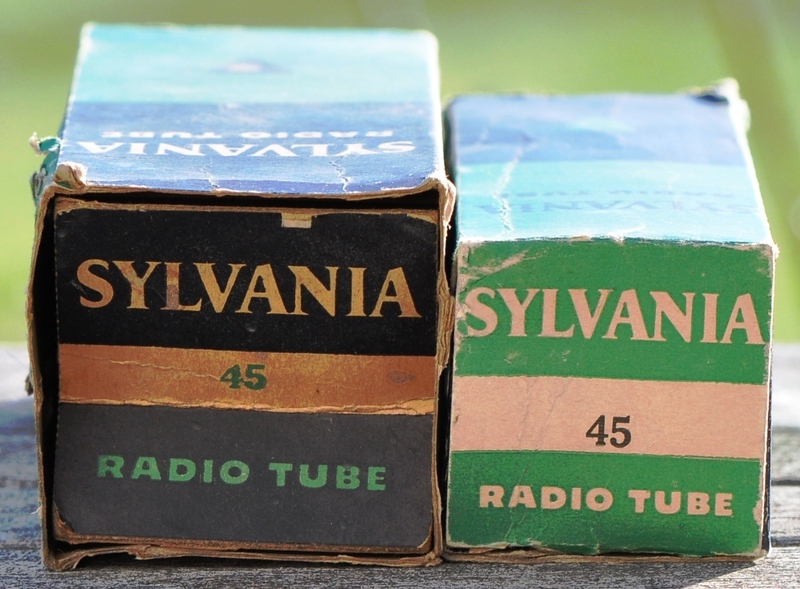 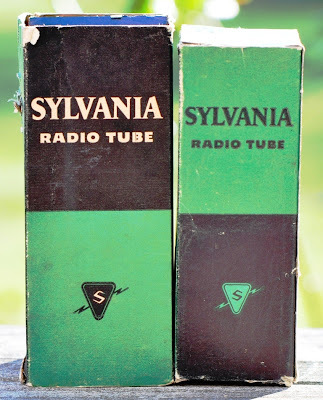 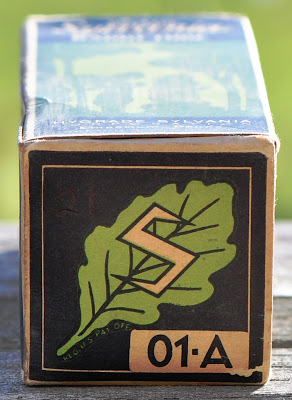 Sylvania was one of the major tube manufacturers in North America, not quite as dominating as RCA or General Electric but definitely one of the major players. So their tube box art deserves an own article. 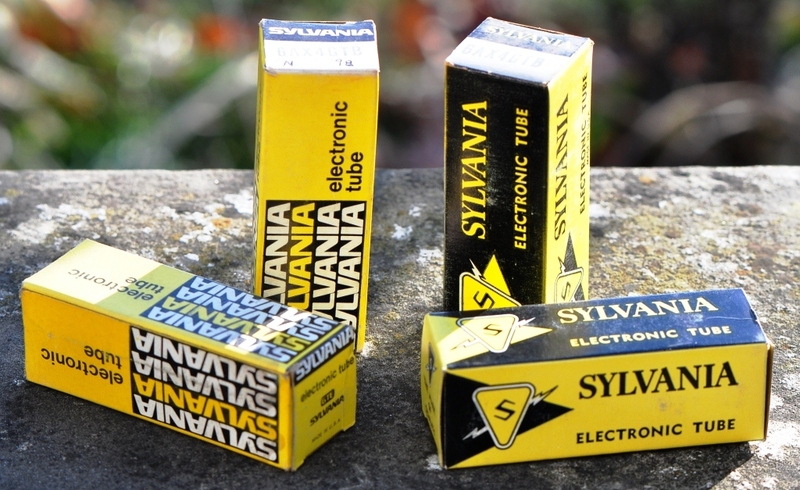 The company started under the name Hygrade Sylvania Corporation which was formed by a merger of three lamp manufacturers. 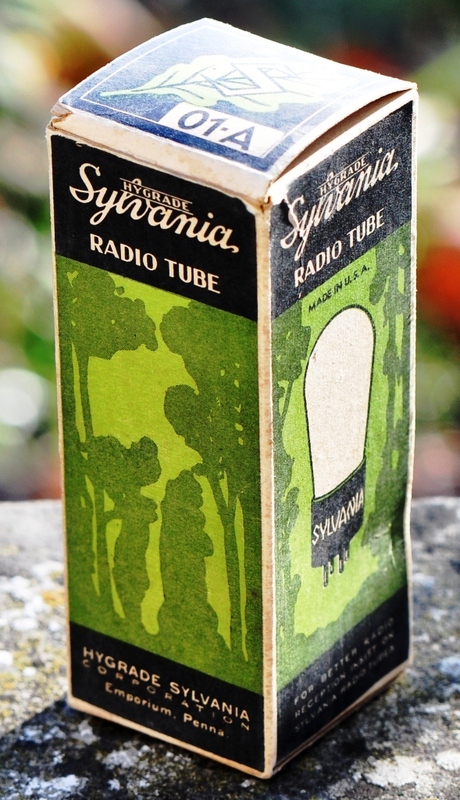 Incandecent and flourecent lamps were a major part of their business and today lamps are still produced under the Sylvania brand. 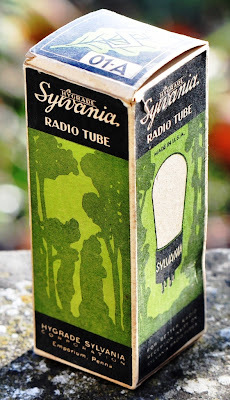 Besides lamps they also produced vacuum tubes and later even transistors. 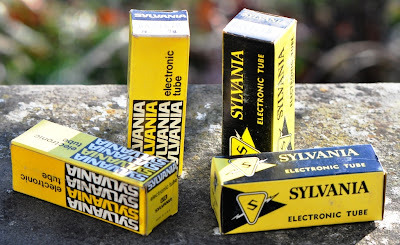 In the 1980ies Sylvania stopped making electric and electronic products. 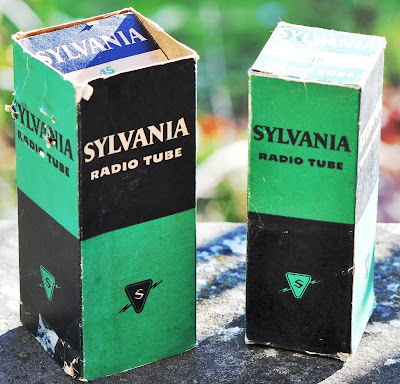 They were not acquired by Philips as I wrongly wrote in the article about Philips tube boxes, Philips bought the rights on the brand name for consumer electronics.